KAMPALA – Another Christmas morning spent cycling around the central business of Kampala devoid of workers, and for an hour or so, mostly devoid of local people and tourists. This time, the streets are empty and seem to be appealing for the eerie sense of sudden abandonment, it’s the silence that really captivates. True, there are some vehicles along the roads, and rather a few shop alarms beeping, but a city that is normally so noisy is, for days as quiet as the countryside. The city is almost a hideous spectacle during Christmas. The period between the eve of Christmas and the New Year has a way of sucking life out of the capital. The usual bustle of life and activity that typifies the city under the sun suddenly slackens to almost a complete standstill. It is as if Kampala does not celebrate Christmas, being a no-man’s territory during the festivities. As is the tradition among Ugandans, the city folks travel to the countryside to join their families for the Christmas celebrations while a few visitors from the villages also come to the city during this time. 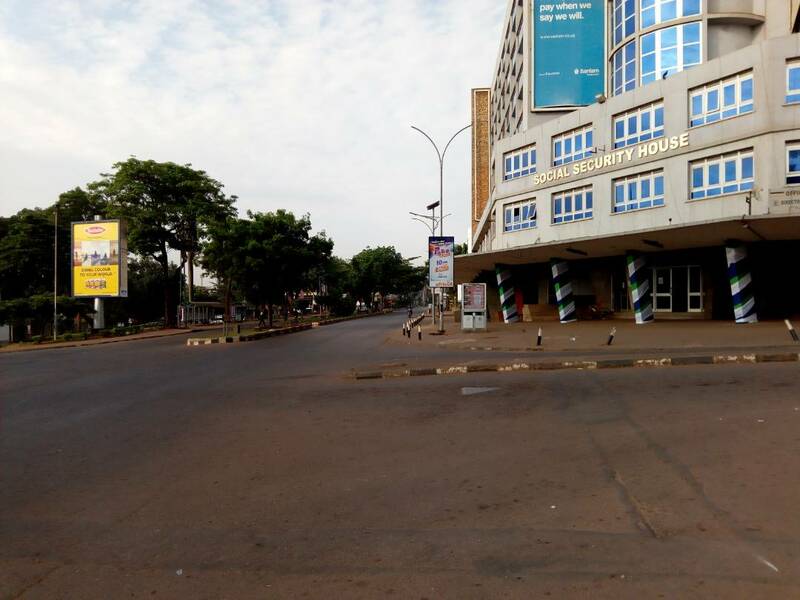 In Kampala city neighbourhoods are lit with celebrations and feasting for those who have not travelled upcountry, the city centre, on the other hand, is gripped by an unnerving aura of abandonment and quietness. A walk across the city centre revealed dreary images of abandoned buildings with Christmas lights shining from the windows. It is true that parts of the city suburbs experience the spirit of the season with dazzling festive displays, decadent meals and iconic shopping destinations but the city centre remained empty with Christmas tree abandoned at various shops and houses. While they teem with activity on ordinary days, some sections of the central business are hardly recognisable on Christmas day and a day after. The streets remain virtually devoid of human activity as businesses remain shut. 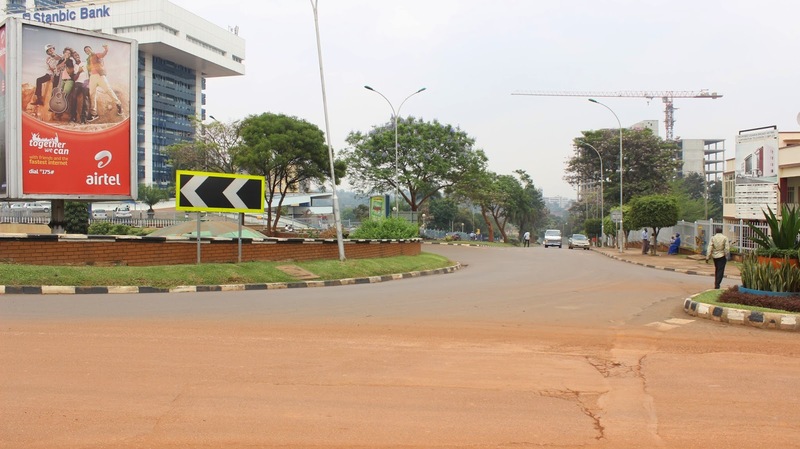 Kampala city becomes looks as still as a ‘ghost city’ between Christmas and New year season every year. Even city clubs notorious for raucous music and all manner of theatrics by revellers also fall into a dead silence. And as expected guards manning closed business premises loiter around, evidently bored out of their skulls to be working while the rest of humanity is making merry away from the city. Kampala’s street families retreat to their dwellings until afterlife has returned to the city. Some city street children, ragamuffins and mad people though sprawl in gay abandon along the almost unused thoroughfares and at shop verandas, deep in slumber, perhaps to hibernate from the forlornness of the city. After all, there are no city stewards to go after them. While it gives one a vague feeling of relief and a calmness of mind, walking along the forsaken city streets is a perilous affair lest criminals swoop down on you. It is only a handful of public service vehicles operating in the city at this time, the lawlessness of flouting traffic rules signified by Omnibuses and the sickening traffic congestion slithers away from the city space. Even hawkers, street vendors and those selling merchandise at the verandahs a steer clear of the city, for once bringing an end to the all too familiar cat-and-mouse games with KCCA staff. During this brief period, Kampala attains the eminence and order of a city of its calibre – a world-class city. But as the New Year approaches, the city bursts into life again in a pretentious fashion. This sustained activity becomes the order of the day as the year hurtles towards another end of the year.